January’s figure was also well below the median forecast of 56 in a Reuters poll of economists, missing even the lowest estimate of 54.2. Readings above 50 indicate expansion. In London, financial stocks were the biggest drag on the blue chip index, led lower by Lloyds Banking Group after the part-taxpayer owned lender revealed another 1.8billion hit for mis-sold PPI insurance and news that a resumption of dividend payments will not be until the second half disappointed. 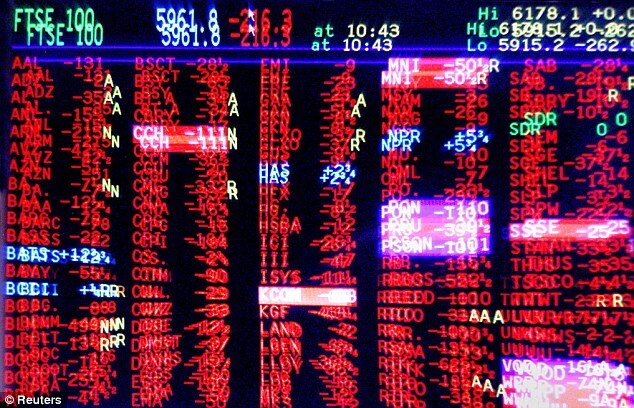 Over the past fortnight, the index has lost 4.6 per cent, knocked back by concerns over emerging markets. Unease about slowing Chinese growth and the withdrawal of U.S. monetary stimulus spread from emerging market currencies to the world’s big stock markets resulting in a 3.5 per cent drop for the FTSE in January, its biggest monthly decline since last June and its worst January since 2010. Voafone’s performance is likely to have been impacted by the pound’s rise on currency markets and the current volatility in emerging markets such as Turkey and South Africa. 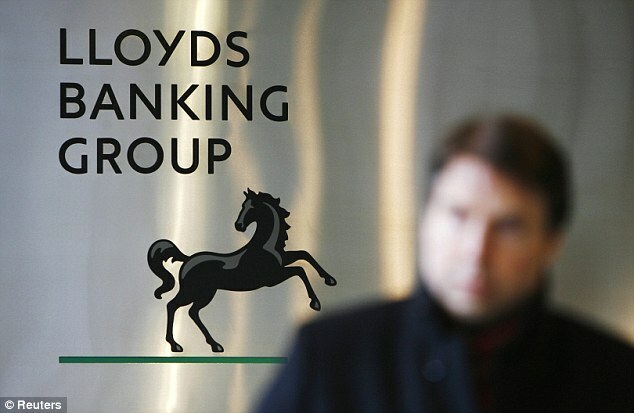 Lloyds Banking Group was the top blue chip faller, down 2.3p to 81.0p, as the bank revealed another 1.8billion hit for mis-sold PPI insurance and news of a resumption of dividend payments in the second half disappointed. The bank said its full-year profits will still be better than expected at 6.2billion but this was offset by the new PPI guidance – taking the running total to 9.8 billion – and its promise to consider a modest dividend return in later this year was later than some City analysts had expected. But aside from some high profile fallers, the performance of the wider market came as a relief to investors after the worst January since 2010 wiped nearly 62billion off blue-chip shares. ‘However, were the on-going concerns towards the Minerals division to dissipate, there could be an sentiment shift towards the group, with a modest valuation highlighting why this could become interesting to investors,’ analysts at Jefferies said in a note. Packaging firm Rexam was also in demand after receiving a binding offer for its healthcare business from a private equity firm. The proposed $ 805m sale will see $ 740m returned to investors, who will be happy on two fronts this morning with the beverage can maker’s stock up 8.5p to 501.5p. Randgold reported a full year net profit of $ 278.4million, down from $ 431.8million in the previous year as lower gold prices hampered the number. 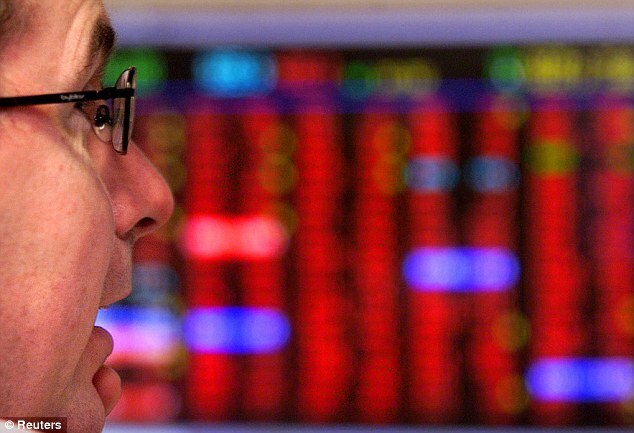 The FTSE 100 index dropped 13.8 points to 6,496.7 on the first session of February, continuing where the previous month left off after the worst January since 2010 wiped nearly 62billion off blue chip shares. Lloyds Banking Group was the main casualty, with its shares more than 3 per cent lower after it set aside a further 1.8billion to compensate customers mis-sold payment protection insurance (PPI), and said dividend payouts were to resume in the second half, later than some in the market had anticipated. The bank did say its full year profits, due to be reported on February 13, will be better than expected at 6.2billion but its shares still fell 2.65p to 80.65p, topping the FTSE 100 fallers board. Meanwhile, the swift upturn in British factory activity eased slightly in January but orders from home and abroad flooded in at a faster rate, a survey showed. Markit’s UK Manufacturing Purchasing Managers’ Index slipped to 56.7 in January from December’s downwardly revised 57.2, slightly short of analysts’ expectations for 57.0. While the PMI hit a three-month low, it was still far above the survey’s long-run average of 51.3, suggesting the economy got off to a strong start in the first quarter. Smith & Nephew was also a top FTSE 100 gainer, up 14.5p to 890.5p as the artificial knee and hip maker said it had agreed to buy medical devices company ArthroCare Corp for $ 1.7billion in cash to strengthen its sports medicine business. ‘We believe the acquisition of Merck’s … assets would … be very attractive to RB (Reckitt Benckiser),’ analysts at Bernstein wrote in a note. Outside the top flight, shares in Dublin-based Ryanair were more than 5 per cent higher after it said aggressive fare promotions had boosted its fortunes following two profits warning in as many months last autumn. It remains on course for profits of around 510 million euro (420million) in the year to March 31. 08.55: A big early fall by Lloyds Banking Group as it unveiled a further 1.8billion hit for payment protection (PPI) mis-selling helped dragged on the Footsie today, with concerns over emerging markets continuing to have an impact after further weak manufacturing data from China. 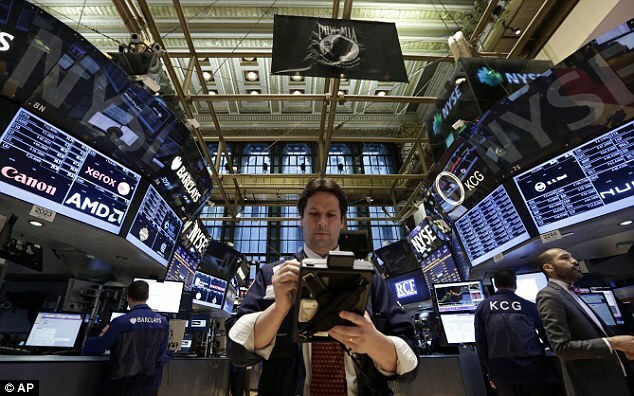 Asian shares lost ground on Monday as strains in emerging markets showed little sign of abating. Sentiment was soured by further downbeat data from China where the official Purchasing Managers’ Index dipped to 50.5 in January from December’s 51, in line with market expectations. The China PMIs provided further reminders for markets of the pressures on the world’s top emerging market economy as Beijing tries to push major reforms without tamping down growth too much. Despite the latest PPI compensation provision, which takes the running total for the bank to nearly 10billion, Lloyds said it still expects to make a small profit for 2013. The bank is due to post full-year results on February 13. BANKS – Britain’s banking regulator should be given new powers to limit the use and scale of the kind of sales-based incentive schemes that led to Lloyds Banking Group being fined record sums for mis-selling products, an influential lawmaker has said. ROYAL BANK OF SCOTLAND – Ross McEwan, chief executive of RBS, is to be called to a crunch meeting with the Bank of England over the state-backed bank’s capital position, the Sunday Telegraph reported. The meeting will consider RBS’s capital position in light of Mr McEwan’s strategy review, due to be unveiled on February 27. GLAXOSMITHKLINE – The drugmaker is set to unveil plans to launch late-stage clinical trials on 10 new drugs over the next two years, the Daily Telegraph reported, without citing sources. RANDGOLD RESOURCES – The Africa-focused miner said it produced record amounts of gold last year, but a lower gold price meant earnings were below analyst expectations. DEFENCE COMPANIES – Britain is close to placing its first order for Lockheed Martin-built F-35 super-stealth jets, Defence Secretary Philip Hammond said. British companies such as BAE Systems and Rolls Royce build 15 per cent of each F-35 aircraft. OCADO – The online grocery retailer is to proceed with plans for a third distribution centre in the UK after its tie-up with Morrisons got off to a promising start, the Sunday Telegraph reported.